The 261-acre Hudson River Valley property, known as North Hollow, was long-prized by New York State for its wildlife habitat and water quality protection. These qualities attracted developers, too, but for very different reasons. The North Hollow property, which sits within the Great Swamp watershed, features steep upland forests and Haviland Hollow Brook, a pristine trout stream whose watershed connects with the Great Swamp, Croton River, and reservoirs in the New York Highlands, the drinking water source for 3 million New Yorkers. The Great Swamp ranks as one of the largest freshwater wetlands in the state, supporting many plant and animal species. The Blumberg family owned the North Hollow for more than 50 years and understood the natural value of their land. They turned to The Trust for Public Land for help conserving 261 acres. 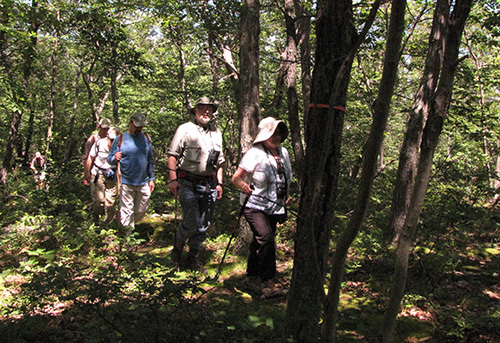 In December 2011, the North Hollow property was added to Cranberry Mountain Wildlife Management Area, expanding the park by more than a third and increasing public access to hiking, cross country skiing, hunting, and fishing opportunities. In November of 2013, The Trust for Public Land and the NYS DEC worked with the U.S. Fish and Wildlife Service and the Blumberg family to protect an additional 362 acres known as South Hollow. There are now more than 600 additional acres available for public recreation.